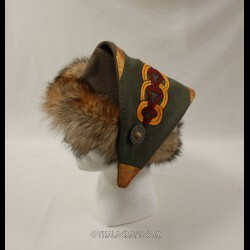 Hats There are 49 products. 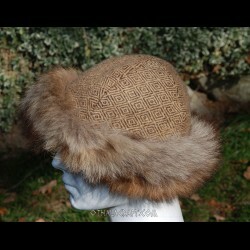 Beautiful hat made in four wedges, every visible stitch is hand made with linen thread. 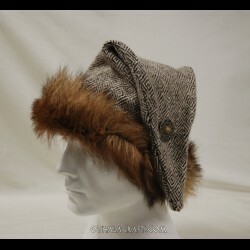 Eastern style hat in shape of a triangle ideal for Viking man. 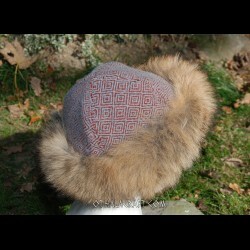 Hat made of hand woven two colours wool. 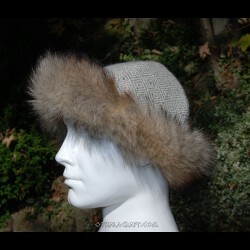 Triangle woolen hat with fur, made of hand made grey wool in diamond pattern. 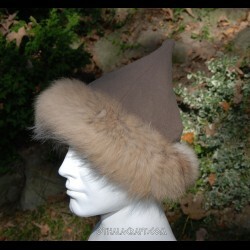 Triangle woolen hat with fur, made light green of wool. 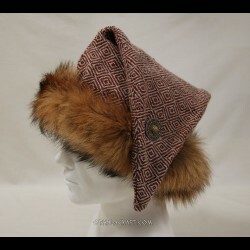 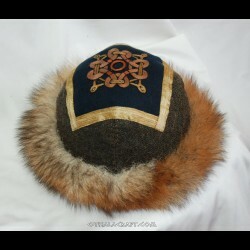 Triangle woolen hat with fur, made of brown wool.